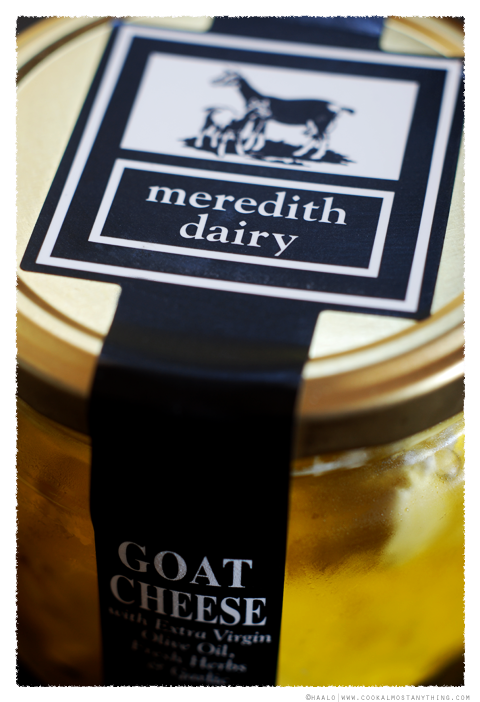 The cubes of Goat Cheese are marinated in garlic infused extra virgin olive oil and are packaged with a few herbs and spices (mainly peppercorns) in these attractive jars. 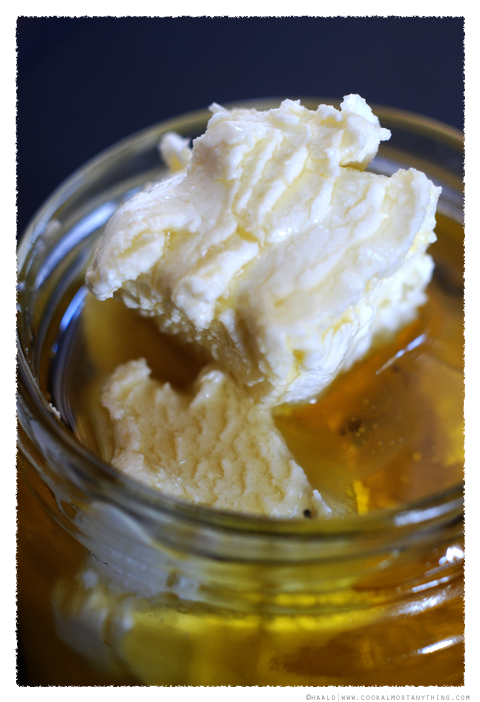 It isn't as herb packed as the Yarra Valley Dairy Persian Fetta, the flavourings are a bit more subtle. 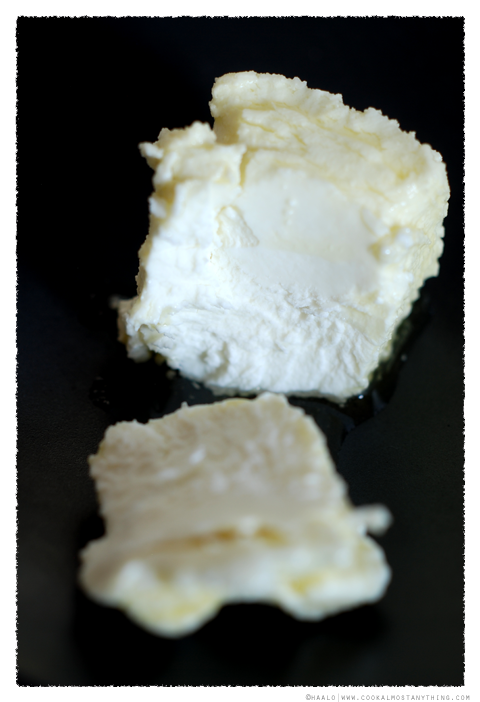 It still retains that pure white colour you expect from Goat cheese - it's soft and creamy cheese with a pleasant tang. While I had no problems slicing this piece at times they can be a bit more crumbly. It's an ideal cheese to enjoy as is, or incorporate into both hot or cold dishes such as these Goat Cheese and Red Capsicum Pancakes.